What’s next for When Calls the Heart? 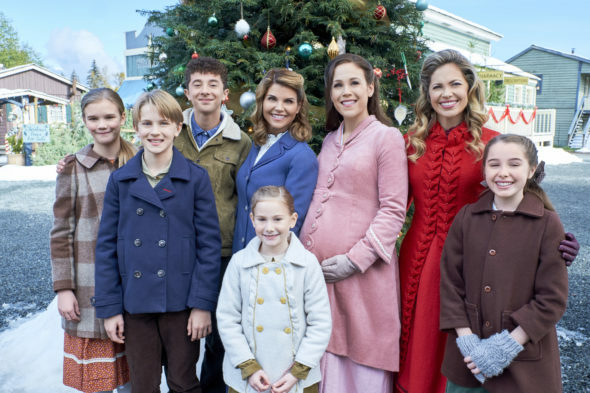 The Hallmark Channel TV show just announced they are going on a brief hiatus to retool the rest of season six. Last week, Hallmark severed ties with star Lori Loughlin following her arrest for alleged involvement in a college admissions scheme. Loughlin has played Abigail Stanton on the period drama since its debut in 2014. On social media, executive producer Brian Bird announced When Calls the Heart is going on a “creative hiatus” so they can retool the end of season six. In the statement, Bird assured fans the Hallmark Channel series has not been cancelled. #Hearties, thank you for your love, support and patience these last several days as we have been preoccupied with the news about Lori Loughlin and her family, and the decisions our colleagues at the Hallmark Channel USA needed to make,” read a “producers’ statement” from Brian Bird and the show’s other executive producers that was posted to the show’s official Instagram page on Sunday. “As you can imagine, everyone involved with ‘When Calls the Heart’ was surprised by these developments, so we hope you can forgive us for initially staying silent while we sorted through how to respond. As for the show itself, we know millions of fans are on pins and needles wondering what will happen now. Let us reassure you, ‘When Calls the Heart’ has always been bigger than the sum of its parts, and it has not been canceled. With the full support of the network, we have gone on a creative hiatus to do some retooling on the remaining Season 6 episodes. That process has already begun. Hope Valley will return to your TV screens as soon as we can bring the episodes to you. What do you think? Do you watch When Calls the Heart? Will it be the same without Loughlin? I am so disappointed to hear of the change in When Calls the Heart series. Lori Loughlin is a favorite of mine. A main reason I watch. I really dont need Hallmark to decide who I can watch. As a loyal customer including paying for streaming for several years now I just want you to know I feel punished. A programming decision made by Hallmark is one thing but to take away already created movies is another. She could have run off and married or died but the story continues. But to advertise your dismissal so physically is not needed. Waiting patiently for When Calls the Heart to return with or with out Lori. Looking forward for it to be back soon. So wish Jack was still around but hoping for someone new in Elizabeth’s near future. I love When Calls the Heart and can’t wait to see the last six episodes you are creating. Maybe because we have all been so loyal and patient … you might consider giving us a couple of extra episodes!!! ) I hope! None of this “hiatus” is the networks fault, so you’ve got me forever! It will never be the same as it will never be the same without Jack. I feel the best thing to do is recast Abigail with a look alike and when Ms. Loughlin is cleared she can possibly return. It worked with the Duke Boys. No. She broke the law and she should be fired and gone permanently. Can’t act in show if in prison. I’ll really miss Lori Loughlin. I love her and her character. Can’t imagine how you’ll soften the blow of her abrupt absence; in fact, I don’t think you can. But, as with other shows that have lost coveted actors/characters, we’ll get use to whatever changes you make. It’s going to have to be one heck of a positive change though. I love the show, and although I think Lori should pay her fine, I do not think she should lose her career. Look at your President!!!! She is not a criminal!!! Let’s be realistic! Hallmark is about love, so where is the love for the actors. Love The show & will keep watchin’g love the rest of the cast but please. Bring jack back.